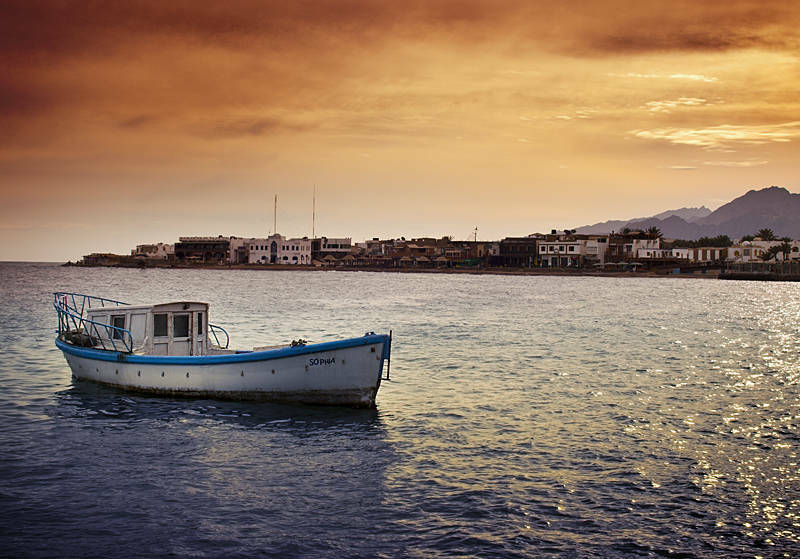 This is Dahab in Egypt. To process this image I applied a separate curve for the sky and the sea. I wanted to add some vignette so I created a new layer with a Radial Gradient Fill and set the blend mode to Overlay. This darkened the edges nicely but it put the focus in the middle of the shot and not on the subject. To fix this I adapted the Radial Gradient Fill Layer. I used a soft brush set to 3% and painted black or white as on the layer as if it was a mask. Finally I used a bit of split toning to add some more colour. Nice Treatment of the Photo. I Like it. PS: Yes, my Photoblogtheme is related to reflections. Hi Joy,What program are you using to cretae your gradient? Should be a simple matter to save a jpg file where ever you want to. To change the theme so that you can modify the header try checking out this post on .Hope that helps!